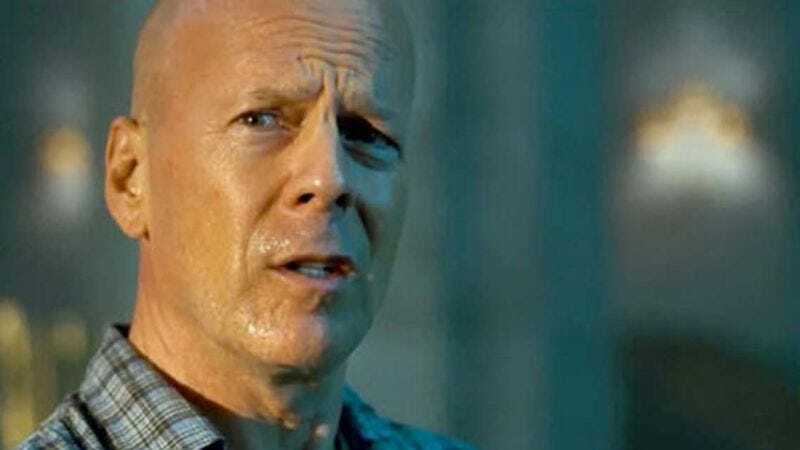 It looks like professional sleepwalker Bruce Willis has decided to amble his way out of yet another project. Only this time, it’s not just another paint-by-numbers action movie that isn’t cutting the laid-back mustard for Willis—it’s a Woody Allen film. (Possibly a paint-by-numbers Allen movie, but with him it’s tough to tell until after it’s released.) Deadline reports the actor has left the ensemble of the latest film from the director, because it conflicted with his schedule for the upcoming Broadway run of Misery. Willis’ return to the Great White Way marks his first stage production since he was a young man, only dreaming of a future halfheartedly firing prop guns at people on camera. And despite his desertion of Allen’s film project to play the role of the writer Paul Sheldon in Misery—or A Good Day To Write Hard, as it’s informally known—the movie will recast and stay on schedule. The cast already includes names like Blake Lively, Parker Posey, Kristen Stewart, Jesse Eisenberg, and Corey Stoll, so we’re guessing the movie will be just fine, and potentially even 17 percent less grumpy.